Bitcoin price tanked more than 10 percent on Wednesday after months of low-volatile action. As the market prepares for further slides, a prominent investor believes that Bitcoin breakdown is good for the crypto space. Travis Kling, chief investment officer at Ikigai crypto-assets management firm, said in his tweet that Bitcoin downtrend should induce more capitulation in down market cap names. As a result, traders could stop speculating on them soon, and put their trust back on Bitcoin. Bitcoin’s price crash mirrored an overall sentiment of the crypto market. The digital currency’s closest competitors, namely Ethereum, Ripple, EOS and Bitcoin Cash, each fell drastically, contributing to an overall $26 billion loss to the crypto industry. The market witnessed declines in the lower-end coins as well, as highlighted in the Travis Kling’s comment above. “What we see across the board is asset prices are down 75 percent or more, in some cases 95 percent,” Demirors explained while adding that they would eventually run out of money soon. The latest flash-crash looked accurately orchestrated as if a group willingly sold every asset off their table in a single selling order. Analysts are already theorizing hard fork of Bitcoin Cash as the main catalyst behind the volatile downtrend. Brian Kelly, chief executive at BKCM, an investment management firm, believed that the said software upgrade at most scared traders of potential slowdowns and chaos in Bitcoin and Bitcoin Cash markets. If it is true, then the market has a potential to undergo a sharp pullback. The sell-off has left Bitcoin and other top coins at their yearly lows. It could allow both retail and institutional investors to enter the space at the bottom. 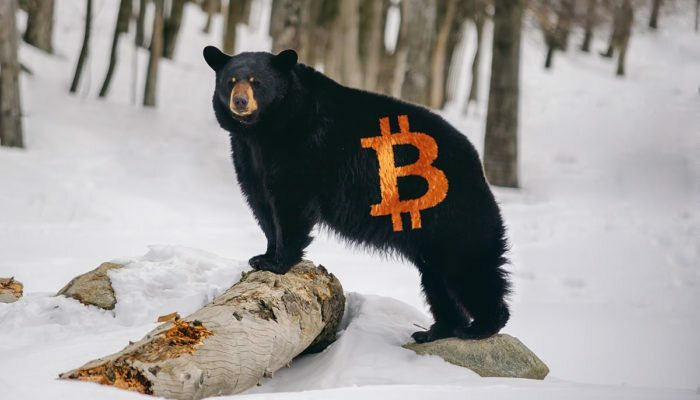 At the same time, there is a prevailing sentiment that Bitcoin could form a double bottom at $4,500. It is the same reason why the upside corrections are looking weaker and signalling an extended downtrend. The leading exchanges, meanwhile, has confirmed that they would support the Bitcoin Cash hard fork to re-inject confidence in the market. It means that BCH owners will receive 1:1 per new cryptocurrency. It’s not a good time to sell, at least for Bitcoin Cash holders.